Email marketing is one of the strongest ways you can engage customers and drive traffic to your website. Think of your email as a fan club perk for your customers, almost like their V.I.P. ticket to your website. When used properly, email campaigns keep your brand in the minds (and inboxes) of your most valued client base. 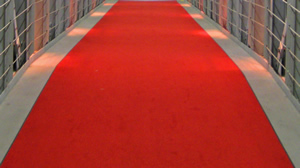 Let’s roll out the red carpet and discover ways to use email marketing to drive more visitors to your website. Make being an insider worth it. Send your customers an update when you add new products or services to your business catalog. In fact, take it up a notch. Give your subscribers an exclusive chance to buy products on your site before you open them up to the general public. Just add a link to your email campaign that points to a page on your site that includes more information. It’s like inviting fans to a pre-release party. Jump on your chance to use word-of-mouth to advertise and draw attention to your site. The easier you make sharing, the more likely your subscribers will do it. Encourage subscribers to forward your campaigns to their contacts who might appreciate your product. And don’t forget the power of social media. Be sure to add sharing options for Facebook, Twitter and other social media networks to your email signature. Offer exclusive promo coupons that are only available to people on your mailing list. Crafting that feeling of an exclusive club is a good way to maintain the sense that your mailing list is worth staying subscribed to. Don’t be a one-hit wonder. An effective marketing strategy is one that is active and consistent. Take time to consider the schedule of your target customer. Are they students, retired, or stay-at-home parents? Do they typically work Monday through Friday schedules? Do you want to connect with them during their off times, or are you trying to reach out during their business hours? Schedule your email campaigns to get delivered during peak readership times. Subscribers are more likely to click through to your website if you catch them during a time when your services are most relevant for them. Use your RSS feed to serve recent blog posts to your subscribers. Keep in contact with your customers and remind them you’re there. Using an RSS to email feature is the best way to make sure people keep coming back to your site. Look for email marketing services that include features that convert blog posts to email. Don’t underestimate the power email marketing can play when driving traffic to your site. Use email marketing to promote events, share special discounts and deals, and keep your customers current on the latest trends in your industry. When you share engaging and interesting content, you establish your brand as a leader and become a vital part of the online community. As an ambassador for GoDaddy’s Customer Education & Outreach team, Leslie boasts more than 10 years of online industry experience. 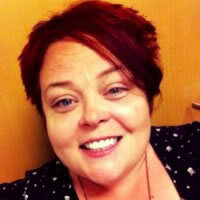 She has a true passion for startups and small business organizations.